Home >> Tech Center >> Corvette Data Center >> 2005 - 2013 Corvette Center >> Is this a Dream or is that really my LS7? Is this a Dream or–is that really my LS7? Click on the images for expanded views – it's much easier on the eyes. The "engine guy" that I am, I've always been smitten with the LS7 in the Z06 and, of late, the 427 Convertible. 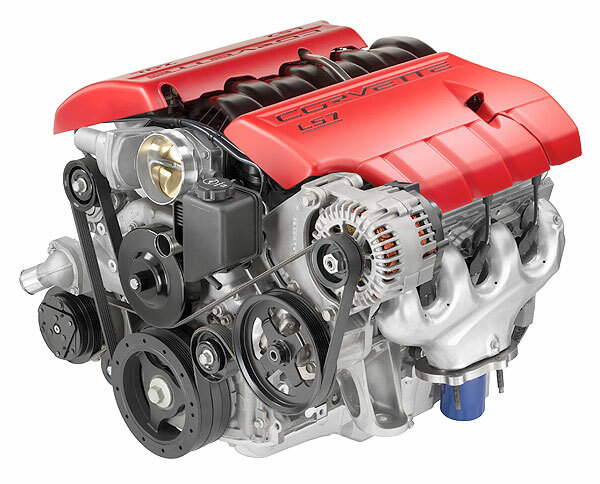 I think the big, high-rev'ing seven-liter is the quintessential Corvette engine of modern times. It really is an amazing piece of work–505-hp, fat torque curve, 7100 rpm rev limit, passes emissions and no gas guzzler tax. The LS7's specific output is 1.18. Almost eight years after its debut, that remains a high mark for a normally aspirated V8 in the Western Hemisphere. I appreciate the LS9, but, to me, the case for LS7 is more compelling. There is a special mystique about that unblown, stump-pulling, high-reving Gen 4 Small-Block which gives a Z06 its seductive, bi-polar personality: almost like a Buick around town but, when run hard; it's an abuse-hungry, track rat. The 2012 spec. LS7 engine. Even six model years after its introduction, it's still one of the most powerful and efficient, non-supercharged V8s on the market. Its passing at the end of the first quarter of 2013 will mark the end of an era. 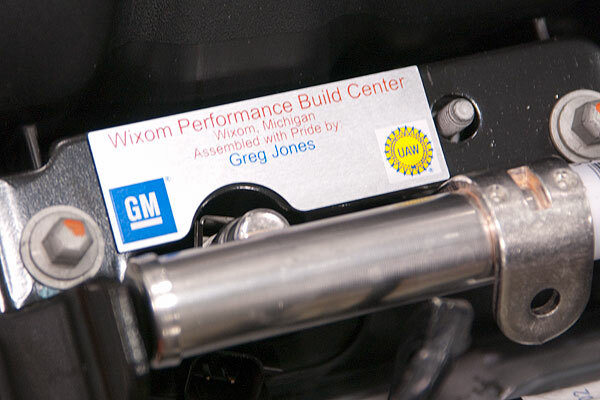 LS7s are assembled at the GM Powertrain Performance Build Center (PBC) in Wixom, Michigan. Back in the fall of 2006, I spent half a day there doing an article about it for the late, great "Corvette Quarterly" magazine. A week before that trip, I remember getting an email from a pal of mine who had just bought an '07 Z06. "I heard you're flying to Michigan," he typed, "to do a story on the LS7. My engine builder was Greg Jones. If you see him, tell him, 'Thanks for the strong, great-running engine he built.'" Two things struck me. First: my friend said "My engine builder...", not "the engine builder" or "its engine builder" and, second: in a world where technology and automation have become second nature–in an organization the size of General Motors Powertrain Division (GMPT) having tens of thousands of employees making millions of engines a year; there's one guy, who hand-built the motor in my pal's Z06 and then stuck his name on it. Whoa–is that cool, or what? After that first visit to the PBC, I promised myself: someday, I'll be back to experience more about how LS7s are built. 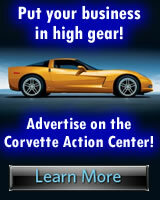 As a production Corvette engine, the LS7 will be discontinued at the end of the '13 model year. Its demise will mark the end of an era and thinking about that was the final little "push" I needed. 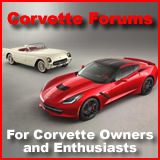 When I ordered my '12 Z06 back in early January, I had my dealer, Tom Henry Chevrolet, a Corvette/Camaro specialist in Bakerstown, Pennsylvania, check the box for option PBC, the "Corvette Engine Build Experience." A couple of weeks later, Meg Conroy, Chevrolet's Build Experience "Concierge" emailed me to set up the trip. Who orders RPO PBC? 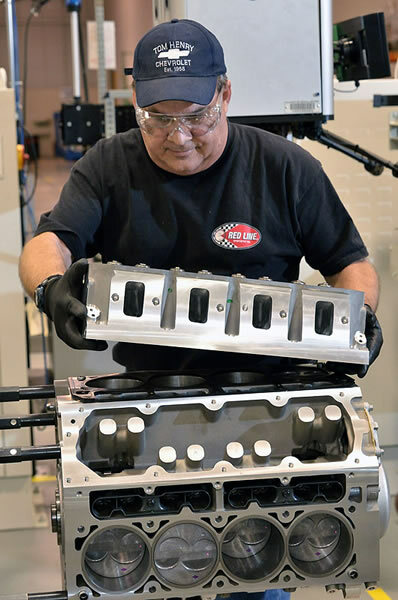 There are a few well-known Chevrolet enthusiasts who've done so, but most have been Corvette buyers, hot rodders who've purchased crate engines. or racers who've bought COPO Camaros. Interestingly, Engine Build Experience participants sometimes are couples and one husband/wife "team" has built two of the engines. There have even been occasions where an entire family has done an engine together. The Bier family of Columbia, Missouri all built an LS7 back in late 2011. L to R: The Biers are: Karla, Kristin, Greg, Brandon, Bridget along with Bruce Blomfield of the PBC. Dr. Bier and family own a rare Inferno Orange 2012 Z06. With RPOs PBC and R8C Museum Delivery, that car is one of a kind.